The results are in, and The Theta Girl has hit every mark with flying colors! Bradley Gibson of Film Threat Magazine is calling it “… a philosophical film with talented actors, a solid script, good cinematography and sound” after its “Friday the 13th” premier in October at Atlanta’s Y’allywood film festival. Rodney Welch of Free Times magazine says it’s “… one gory, grungy, sleazy, druggy, porny, funny, nutty and oddly engaging movie.” With the reviews pouring in like wildfire, this film has successfully breathed new life into independent film. How do you make a feature film while maintaining quality and integrity, all while on a shoestring budget? Better yet, how can it be possible under $14,000? Well, put first-time Director Christopher Bickel and Writer David Axe together and you got yourself a recipe for opulence. You can’t put a price tag on personifying a dream. And for this, it is imperative to have a better understanding of the reality in the business aspect of this industry. There are many independent filmmakers that dream of producing a feature-length film but either never do or they compromise quality because of budget. There are so many elements to the equation that have to be considered, payroll, locations, permits, administrative expenses, equipment, hard/software, post-production, marketing/promoting, festival/premiere expenses and much more. I’m not even going to go into cast and crew accommodations. I mean, have you ever tried to work an actor without feeding or pampering them to a certain extent? Good luck getting a stellar performance out of that one. So, with this said, believe us when we tell you that what was accomplished with The Theta Girl is nothing short of amazing. Looking at the technical aspects of the film, The Theta Girl beautifully establishes the six key components of a good film, storytelling, character, acting, cinematography, sound, and scoring. The characters are strategically placed without error. There aren’t any excess of main characters, there’s a clear antagonist, and there’s a great balance of action and engagement. “We wanted to stick to a standard of something happening at least every five minutes so we wouldn’t lose the audience,” Bickel states. Each character had a specific personality and look that remained consistent and kept it quite natural. Independent films are notorious for mediocre to subpar acting. It’s not necessarily a bad thing. It’s just that the majority of independent films employ whomever they can get to do the work, which usually is someone fairly new to the industry or someone that has not yet crossed over into the professional realm of acting. There are those rare exceptions, however, where you have a great director who is coupled with undiscovered magnificent talent. The Theta Girl is definitely one of these rare occasions. The acting matches the characters flawlessly, and the audience will not be disappointed with how well the dialog is delivered and not recited. The relationships of the characters denote chemistry interchangeably throughout the film, and the story gracefully flows as a result. The cinematography is second to none. This film also shows how you don’t need a $40,000 camera to make cinematic gold. Equipped with a Canon EOS 80D, a DJI Osmo, and a GoPro, Bickel combined his resources and edited a film that coincides with the feel of this perfect picture. The lighting is consistent with the scenes, and continuity is maintained throughout. Knowing the equipment used to make this film only makes it that much better in the reality of it all. Sound and scoring can literally make or break a film. It can have the best of everything, but if it has horrible sound or if the scoring conflicts with what’s taking place, then kiss circumspection goodbye. The audience will be completely drawn away and will be immediately encouraged to ask, “Why?” Luckily enough, this would have never been a problem with The Theta Girl given Bickel’s background in music and punk. The music adds to the texture of the film and keeps the audience on the edge of their seats as the story unfolds. Overall, The Theta Girl is a must-see that is well deserving of its place in cinematic history, especially for South Carolina. It is edgy, heroic, and all things punk. Recently the overall Jury Award winner of South Carolina Underground Film Festival, we can look forward to seeing great accomplishments of Christopher Bickel and The Theta Girl. Our hats are off to this successful film, and I give it a solid 10 out of 10. Hey folks, sorry for the delay! It’s been a busy month prepping. Tuesday, Feb. 28th will kick off “A Night of Film with Carolina Film Network”. We will screen four films then open the floor to the local filmmakers in attendance for a pitch session. Because this will be such a big night doors will open promptly at 7 and screenings will begin at 7:10! After the film screenings the audience will be given the choice to vote for audience choice award. The winner will then advance to quarterly round. If you have submitted and don’t see your film as a selection please do not be discouraged. There were so many amazing submissions and we are currently working to email each and every one of you in regards to your film! Spark is a short film following an award-winning, alcoholic writer on his search for inspiration after a tragic event threw his life into turmoil. The storyline was conceived when director Daniel Merlin Miller felt no control over his life. He was attracted to the notion of lead character, Wayne, and the underlying theme of coping mechanisms in times of distress. Like Wayne, he threw himself into his work in an attempt to maintain some type of consistency. We know Spark is a story that can speak to a lot of people. “Wait… Did you see it coming?” ‘Zoey Gray’ is a sci-fi comedy focused around ‘Zoey’s’ recent breakup. While venting with her Bestie, she’s convinced to go out with a new look. After deciding to stay in things start to take a transcendental turn. Tiffany Jamison and Jessica Todd have a special bond, one that wreaks havoc on those that dare cross them. Exhausted and on the run from a desperate bank robbery, a mangy gang finds shelter at the small farmhouse of a frail and sickly US Marshal. The truth of their exploits comes to light as Miss Ledbetter, the Marshal’s nursemaid, overhears their fireside conversation. She is taken hostage by the menacing Lonzell Dixon, who surprises her at gunpoint. Tensions escalate when Lonzell’s greed, lust, and struggle for power overtake him and his family. Tickets to event are $5, which goes to paying for the space provided by Tapp’s Art Center. Carolina Film Network kicks off the New Year Tonight! Here’s what to expect. An exciting evening has been planned to kick off the New Year and welcome the return of the Carolina Film Network Monthly Meetings. Beginning at 7 p.m., will be the screenings of three films from North and South Carolina filmmakers. After Yesterday directed by Andrew Brewster tells the story of Harris Tray as he struggles to connect with his granddaughter amidst loss and early signs of dementia. WHORL directed by Ebony Wilson tells the story of a couple who’s argument spirals out of control into a loop of repeating events when they stumble across the body of a dead man. Our Star Trek: The Fifty Year Mission directed by Christopher Tevebaugh is a documentary on the exploration of Gene Roddenberry’s Star Trek vision of humanity. After 50 years of Star Trek, how far has humanity come and how much further can we go? Leon Dunn and Fred De La Garza will be joining the Carolina Film Network team leading the discussion on what a production company is, how to successfully operate a production company, their accomplishments, and future projects produced at Carolina Filmworks. They will also discuss the difference between a production company and a one-man producer operating under the name of a production company. This event will be held at Tapp’s Arts Center. Admission cost will be $5 to cover space provided. Carolina Film Network’s monthly meetings return Tuesday, January 31st opening up a bright new year of film here in the Carolinas. Joining us as guest speakers are Carolina Filmworks owners and operators Leon Dunn and Fred De La Garza. Both Dunn and De La Garza will lead the discussion on what a production company is, how to successfully operate a production company, their accomplishments, and future projects produced at Carolina Filmworks. They will also discuss the difference between a production company and a one-man producer operating under the name of a production company. Carolina Filmworks has produced films worldwide, including the more recent Sinners and Saints starring Sean Patrick Flanery and Daylight’s End starring Lance Henriksen. Carolina Filmworks operates out of Charlotte, North Carolina. As we discussed at the November Meeting, January will kick off the start of the First Annual Carolina Film Network Film Festival. As per usual, the meeting will begin by screening three to four films. Afterwards the audience will vote on their favorite film for the Audience Choice Award. The Audience Choice Winners from each month will then screen at the quarterly meeting. Where again it will compete for the Audience Choice Award for the quarter. The winner of the Quarterly Audience Choice Award will then screen in December at the 1st Annual Carolina Film Network Film Festival. Films that have screened at previous meetings are eligible to rescreen to compete in the festival competition. While we only screen short films at the meetings we allow for feature films to be submitted for the December film festival. Films must be made from 2014 – Forward. 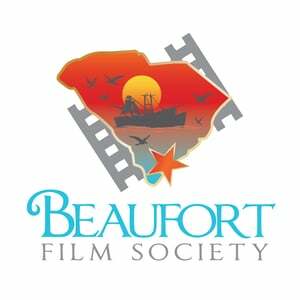 To submit your film for screening please visit the submission page found above or click here. To find out more information about Carolina Filmworks please visit their official website found here. The Right to Strike brought to us all by writer/director Ashley Shanea launches Indiegogo Campaign for the independent production. This short film is centered around an SC State University couple that met during the civil rights movement and fought together for equal rights. Although this is a fictional story, it is based on true events that took place such as the Orangeburg Massacre. Now why is raising money important for independent productions? Because funds will contribute to a building rental, wardrobe, paying cast/crew, and building rentals fees for public screenings! To help contribute to the film please visit Ashley’s Indiegogo Campaign by clicking here or the below image.